Paradise Country has been an Australian favourite for 12 years, however, there is a new edition to the experience that completely changes the game. The Farmstay. As of September 2016, you can experience Paradise Country like never before – by staying your choice of eco tent (think glamping), or in your own caravan or tent. 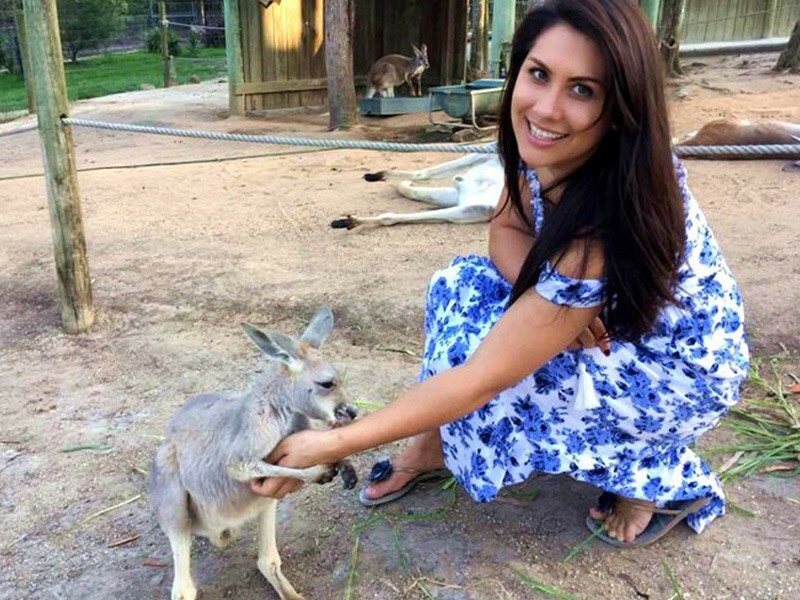 Nestled between Movie World and Wet ‘n’ Wild on the Northern Gold Coast, you follow a 1.5 kilometre drive way that teleports you from the Gold Coast to Outback Queensland; where time slows, the grass and trees are greener, and your worries simply melt away. This is truly a family holiday different to any other. Both the couples and family eco tents have all the conveniences of a hotel, but instead of bustling city streets, you have utter serenity when you open your door (or tent flap). 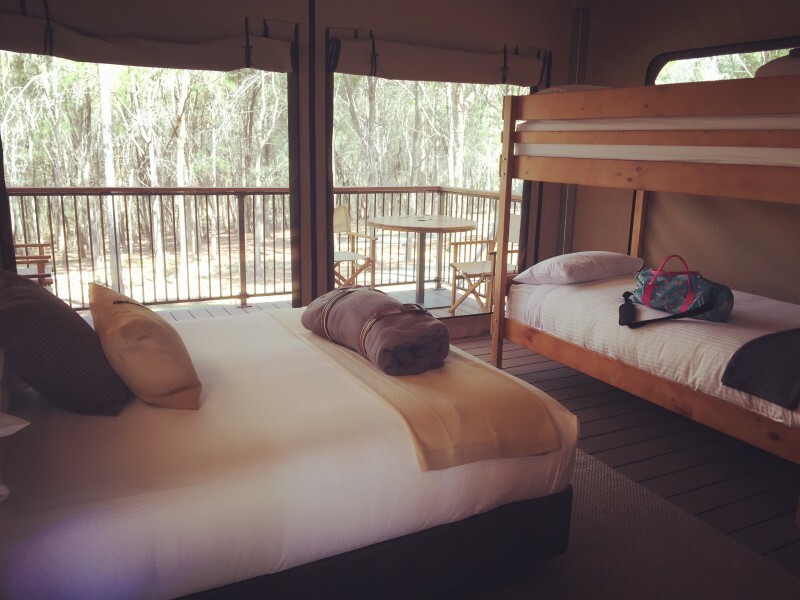 Each of the tents have beautiful balconies overlooking the surrounding bushland, making you feel as if you are a million miles from civilisation, yet you’re a 20 min drive from Surfers Paradise and 40 from Brisbane. For in a tent without an ensuite, there is an amenities block located at the entrance to Paradise Country that is kept very clean and free of creepy crawlies. Farmstay Activities – Just for Guests! Staying at the Paradise Country farm stay comes with perks. Lots of perks. 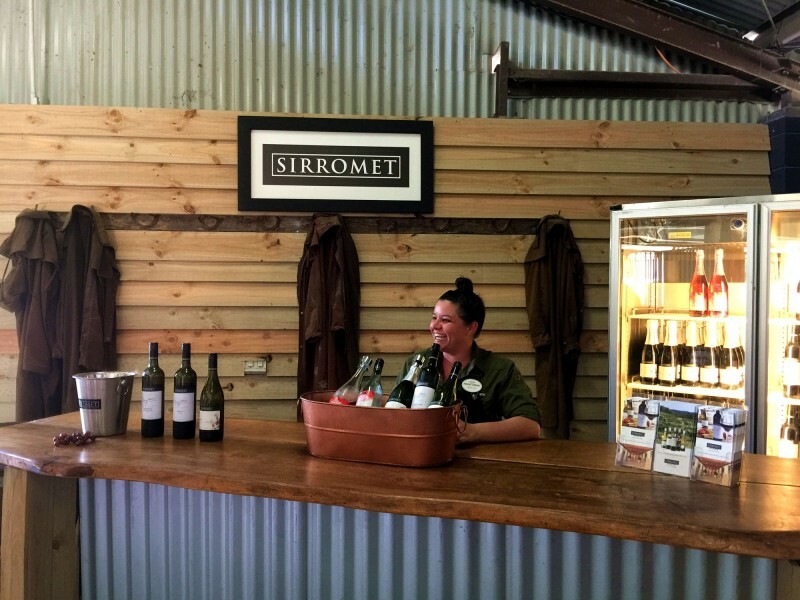 One of the more popular activities Mum and Dad will love is the Sirromet Wine Tasting. This flavoursome event occurs on select days from 4pm till 5pm and includes whites, bubbles and reds to choose from. The best part is, even the wine tasting at Paradise Country is family friendly! 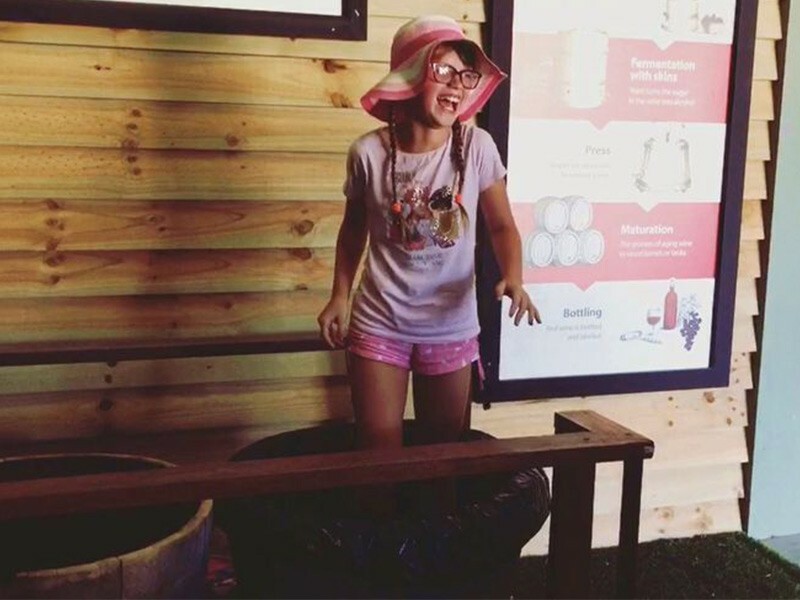 For a start, it’s located in the barn so you can enjoy your wine while watching the kids enjoy the sunset lawn activities when they start at 4.45pm, or they can try their hand at grape stomping! There are buckets with grapes ready to be stomped and transformed into delicious wine. Of course, this isn’t purely a children’s activity, and we can report that it becomes more tempting the further through your tasting you get! After the wine tasting the kids can either get back to their lawn games, or you can take the Kangaroo Sunset Tour. The ranger walks you down to the kangaroo enclosure to meet the adult and baby roo’s to hand feed them their evening supper. The babies can take a touch longer to get close to, but once you’ve earnt their trust they love a good scratch on the chest! After meeting the roo’s you can also get closer to the baby farm animals in the stables on the evening Farm Tour. Since the theme park is shut to the public at this time of day, it’s much quieter and the rangers may even let you in the pens if you’re really nice! 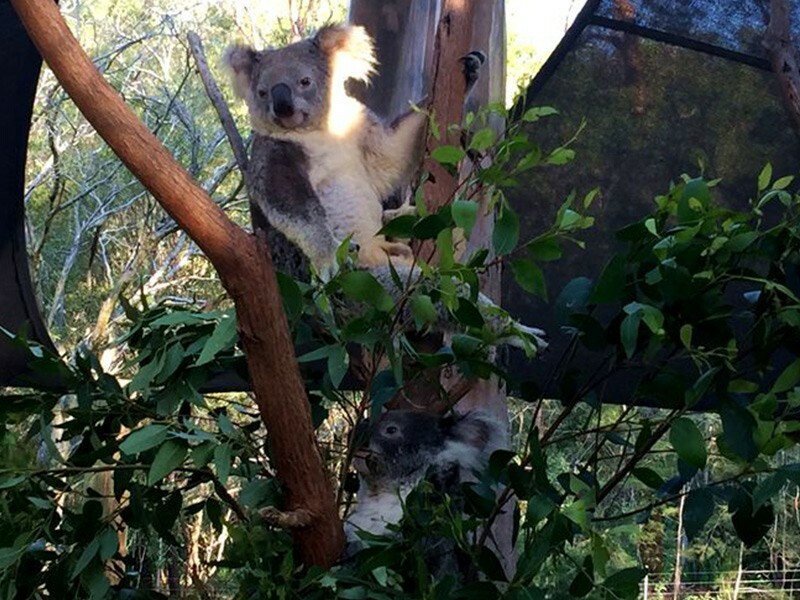 You’ll meet the alpacas, piglets, baby goats, chickens and their chicks, koalas, and more. From the farm tour, the ranger takes two of the baby animals back from the stable to the lawn outside the restaurant to meet the guests staying at the farm stay. On our trip, we got to help the rangers walk the baby goats from their pens out to the lawn to meet the guests. That was a pretty amazing experience the little ones won’t forget anytime soon. When the baby animals have to go back to their pens for the night, the kids can carry on with their lawn games including totem tennis, ring toss, giant jenga, bowls, and a few other surprises! An afternoon of excitement is sure to have worked up quite the appetite, which makes a buffet dinner the perfect solution. There is a great mix of salads, vegetables, carved meats, and other accompaniments for a delicious and well-rounded meal. 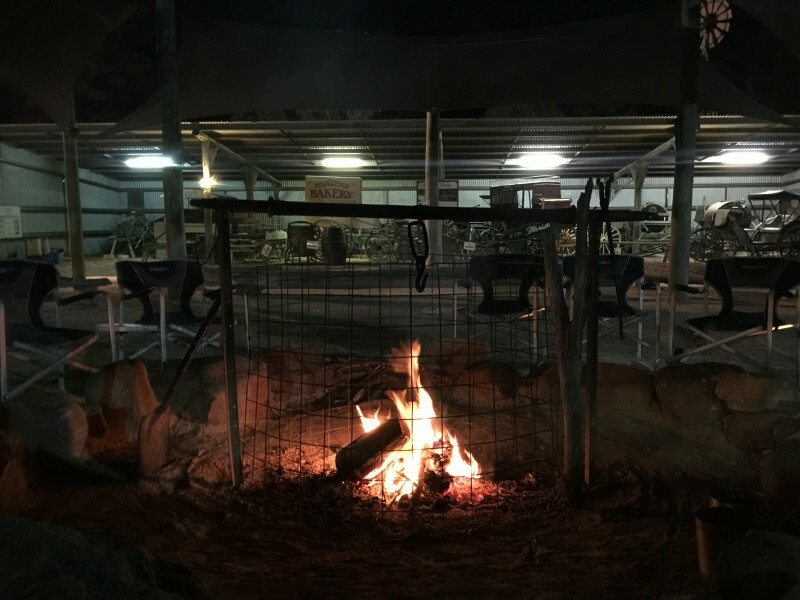 Once the sun starts setting, it’s time for the best part of a Farmstay – the camp fire! You can bring down a hot chocolate, wine, or beer from the restaurant to enjoy. This is one of the simple pleasures of the Farmstay that really epitomise the experience, good old fashion family time without the distractions of technology. We swapped ghost stories, the kids drew hopscotch in the dirt, and not a single person touched their smart phone. Our DQ Hot Tip is to get the kids to run up to the restaurant, and with their best manners, ask for a smores pack. They come with chocolate covered gram crackers and marshmallows in a handy paper bag. The final activity before bed is the koala count. The ranger will hand out torches and take you off to the koala enclosures to make sure these nocturnal natives haven’t snuck out of their pens to take their own farmstay tour! As you’re helping the ranger ensure all the koalas are in their pens, they’ll have a chat about the habits of the koalas and you may even hear the eerie noises the boys make at night! After a big night with another big day of farm activities ahead, you’ll need to prepare by taking full advantage of the buffet breakfast. This is a great mix of bacon, sausages, scrambled eggs, mushrooms, tomato, hash browns, toast, cereal, and a personal favourite – barista made coffee. Which you can also get to go on the sunrise farm activities! NOTE: You can do the sunrise farm activities before or after breakfast depending how early you rise. All the activities of the day start outside reception, and depending how many people are in your group you will be spilt up, with the first group jumping in the back of the 4WD to start the animal feed up with the cows. The back of the 4WD is equipped with seat belts, open sides for a great view and sacks of lucerne (cow food) along the side for them to graze on. The wildlife keeper will open the gate to the paddock, drive the car in, and the cows come running! 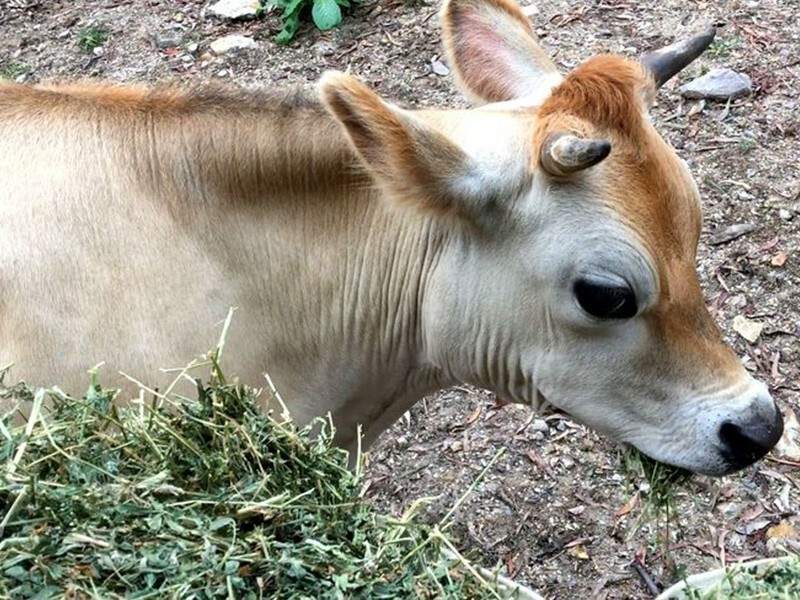 Even the baby calves get a good pace on for a taste of the delicious hay. You can sit back and enjoy the show, or grab a handful and hand feed them! This was a very exciting ride, and possibly the most we all giggled the entire trip so far. After being chased by a herd of hungry cows, you then jump out of the 4WD and learn all about how and why they are milked. This includes a great chat about the different breeds of cows, grades of milk, and why it is important to milk them daily. 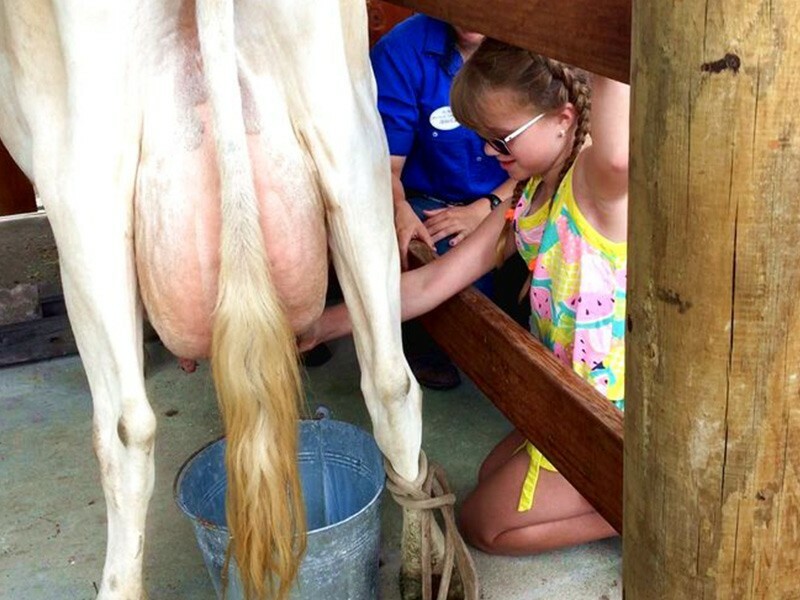 As well as the talk, the keepers show you how to milk the cows and give everyone a go! A quick walk back to the stable will have you feeding the baby animals their morning hay. If the kids are feeling brave, they can take a seat on a haystack and bottle feed the baby goats. 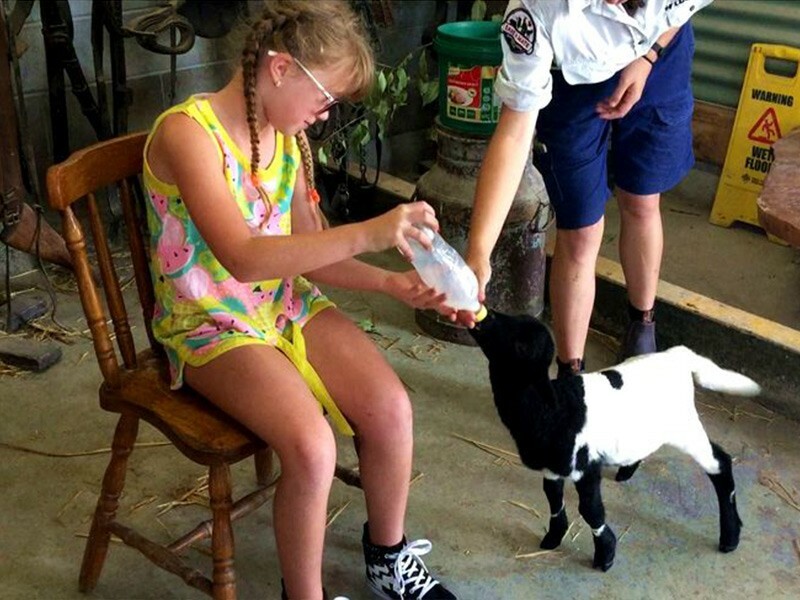 Our little one was absolutely thrilled she got to bottle feed the same baby goat she walked from the stables to the animal meet and greet the evening before – spot. The final activity included collecting the barn laid eggs from the chicken pen and bringing them back to the stables. This action packed morning is an absolute blast! After we took full advantage of all the Farmstay activities we went on to experience the Paradise Country theme park shows and activities which you can read about in our blog about the theme park! 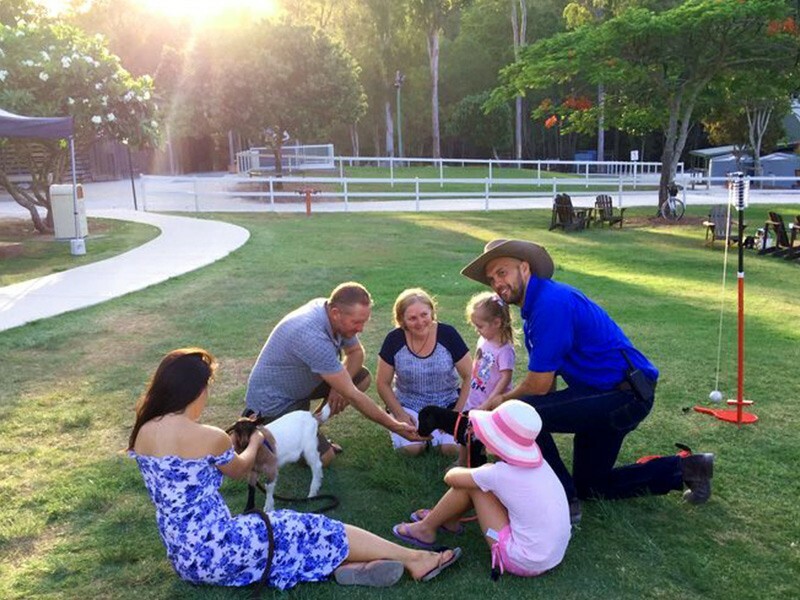 Paradise Country Farmstay is a completely unique Gold Coast family holiday experience you cannot replicate elsewhere. You have the perks of a hotel with the atmosphere of a farm, and the entertainment of a theme park! 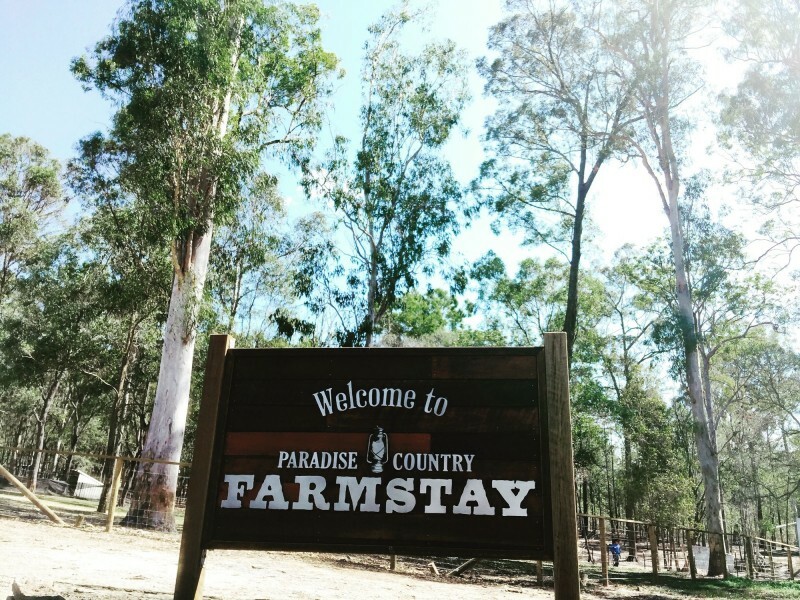 Escape to outback Queensland, right here on the Gold Coast with Paradise Country Farmstay and Theme Park. Call the holiday experts at Discover Queensland on 1300 788 553 to book your getaway today. 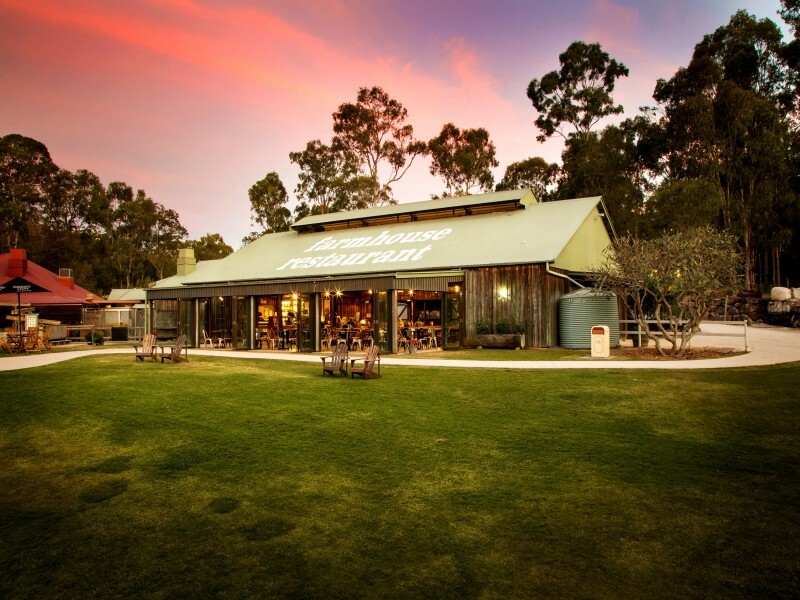 Paradise Country is home to the ultimate Australiana farm experience! 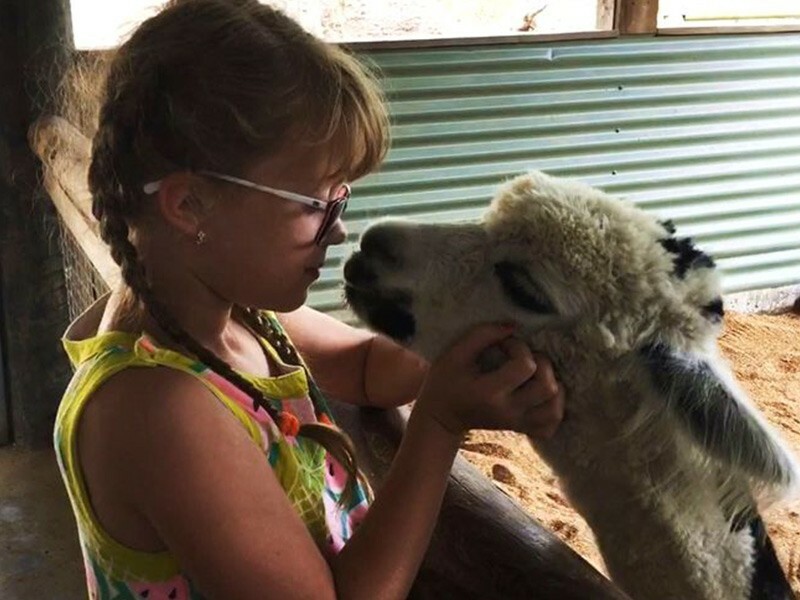 The Gold Coast's authentic Aussie homestead provides the opportunity to experience farm life and outback adventure. Located in the beautiful Gold Coast Hinterland midway between the coast and the mountains, Ruffles Lodge is a luxury 5 star retreat that offers fine dining and a cellar with a large collection of Australian boutique wines.